Smart consumption, smart supply chain, and smart logistics are transforming the consumer experience. Brick-and-mortar retailers are in the know about what exactly is happening in their stores. Not only that, but their knowledge about a range of things, from customer behavior to traffic flow, enables them to continuously optimize the customer experience. These techniques provide huge opportunities for brick-and-mortar retailers. The aforementioned reality is in stark contrast to what most people believe about traditional retail, namely that it is slowly dwindling down and being replaced by online retailers. However, even though e-commerce penetration has grown rapidly in the last few years – it currently accounts for roughly 8.5% of retail in the U.S. and 15% in China – the future is still bright for offline stores. JD is China’s largest retailer with an existence that spans across more than a decade. During that time, the company has established collaborations with several offline partners, and it has built a nationwide logistics network capable of covering 99 percent of China’s population. It also can deliver approximately 90 percent of its orders in the same day or day after they’re ordered. Now, JD is making its technology, as well as other capabilities, available to other retailers as a service and, as such, vastly contributes to making this optimized brick-and-mortar business experience a reality. This points to one important shift in perspective about technology and retail. The former is no longer a support for retail but a vital instrument for retailers to stay ahead in the market. Let’s look at the contributions of smart consumption, smart supply chain, and smart logistics in a bit more detail. Smart consumption, with a goal to enhance customer retention and loyalty, is fusing the concepts of online and offline for both retailers and customers. Virtual or augmented reality, for example, enables the consumer to virtually try on items and forego the fitting room. Along those lines, items can be virtually placed into a home to test for fit. Customers also have the ability to purchase items from their cars, thanks to IoT. At the same time, smart supply is enabling retailers to markedly enhance operational efficiency. It’s driven by AI and big data that provide retailers with information such as customers’ preferences, how many of each individual item they’ll want to buy, and over which time period. Essentially, smart supply removes much of the guesswork that traditionally went into optimizing brick-and-mortar retailers. Now, armed with precise information about sales, pricing, and inventory, brands can improve their time to market, inventory control, and product design, and retailers can make smarter decisions about their offerings. And yet, none of these developments matter unless they are combined with an ability to provide products to customers as quickly and cost effectively as possible. In other words, smart logistics are the last piece of the puzzle that make it all complete. This encompasses a range of things from smart warehousing, which ensures that products get moved out and on their way to the customer as fast as possible, to autonomous delivery vehicles, which make urban delivery more efficient by effectively avoiding traffic and following scheduled routes. Overall, one thing is certain: If you are a business that wants to stay ahead in the market and outperform the competition, you must be prepared to embrace innovative technology with open arms. 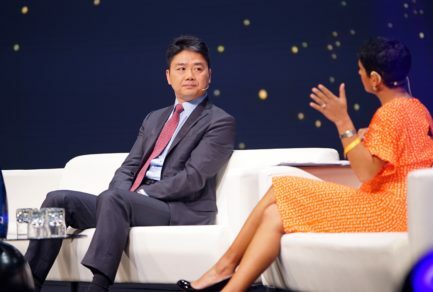 Chen Zhang is Chief Technology Officer of JD.com. A version of this article appeared on TechCrunch.com: https://techcrunch.com/2019/01/09/its-the-golden-age-of-traditional-retail-not-its-end-days/.